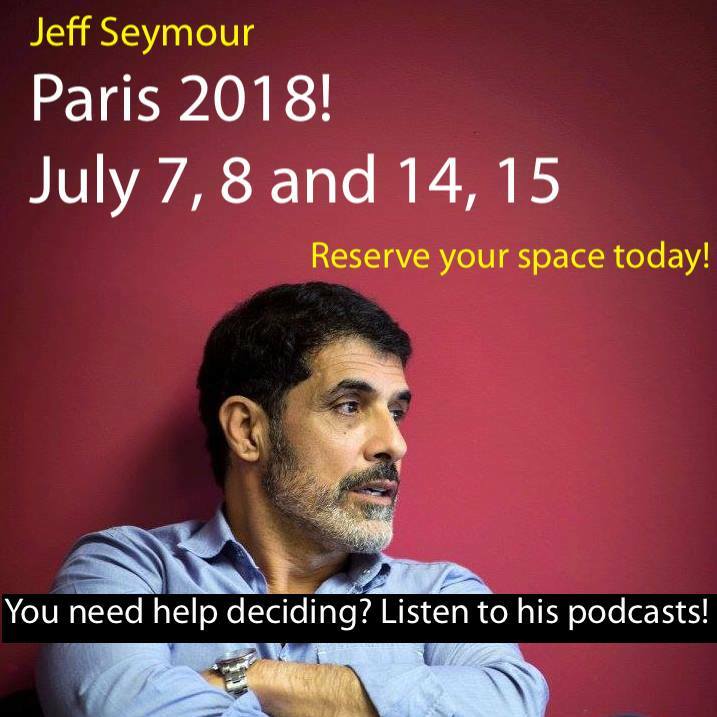 Paris actors, here’s your chance to experience a brilliant approach to Acting which is based on real life and is devoid of any – and we mean any – of the old school methods. If you haven’t listened to Jeff’s #1 rated Podcasts on acting and the business, here’s the link, https://www.podomatic.com/podcasts/reallifeactor. You can also find them on Spotify and iTunes. There are currently 82 episodes, give a listen to any of them and you’ll instantly see why this is an opportunity you’re not going to want to miss. If you’re already a fan of his Podcasts, what are you waiting for? Tuition is $350 USD for the entire weekend and it includes a copy of his groundbreaking book on acting, The Real Life Actor. OR Pay half the cost of the class on sign up and half on your first day in class. An acting approach based on real life that is the most effective you’ll ever use. Improvement in your skills that you would not think possible in 2 days. A confidence and clarity in your work like you’ve never experienced..
A plan on how to become a successful professional actor from a successful professional actor. Actionable advice on how to create your own success. You’ll be assigned a 2 person scene with time to study and be off book prior to the intensive. Your first rehearsal will be in front of your ‘director’ just like in the professional world. You will not rehearse with your scene partner outside of class. Tons of audition advice from a man who has seen over 10,000 of them. For actors who seriously looking to improve quickly. Note: There are no refunds issued for cancellations made within 2 weeks of scheduled date.